Get ready to recruit youth of all genders. The BSA announced a new recruiting campaign to attract all youth. 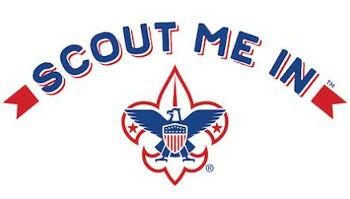 It's called "Scout Me In" and is aimed at reaching girls to join Cub Scouts. I don't think it's really so "historic" as the BSA news releases are saying since the BSA churns out marketing campaigns often enough. But, I expect we'll see the number of participating girls explode from the current 3,000+ girl Cub Scouts in the early adopter dens to 300,000+ next year. Bigger news, I think, is the official name change of Boy Scouts to "Scouts BSA" in 2019. The youngest program is still Cub Scouts and Venturing is still Venturing, but the 12-18 year old program is changing to Scouts BSA to remove the obvious "Boy" in the name. It will be interesting to see how long it takes the country to recognize Scouts BSA as Boy Scouts and not ask, "Is that another competing group to Boy Scouts?" So, buckle up for another exciting year ahead in the ongoing evolution of Scouting in America!